The reboot to Ivan Reitman's 1984 fantasy comedy starts fairly promisingly, opening to a with a tour and ghostly sighting at the Aldridge Manison; a supposed haunted building in Manhattan, NY. 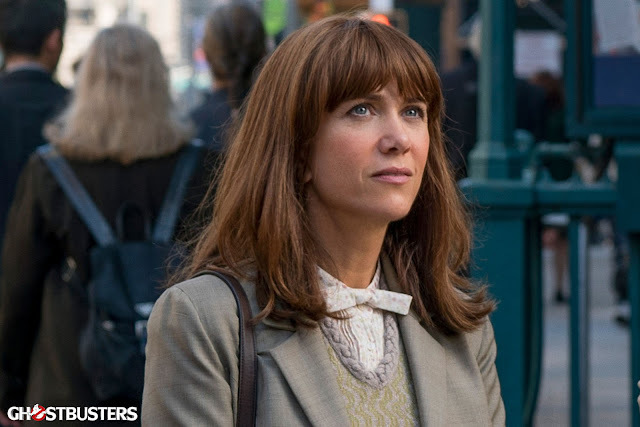 With a few dry jokes having gone down well, we are introduced to Wiig’s tweedy professor, Erin Gilbert, who is met with panic when she learns that the embarrassing novel she wrote as a young post-grad has come back to haunt her. Fearing she may lose her job at a prestigious university, Erin tracks down her old school friend, Abby Yates (McCarthy), with whom she wrote the book entitled Ghosts From Our Past: Both Literally and Figuratively - now circulating Amazon. 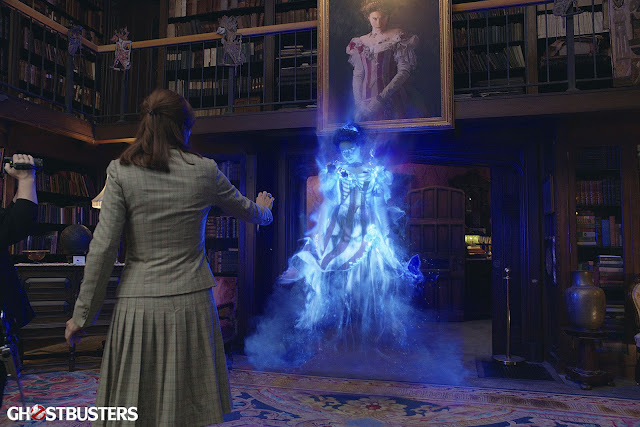 However, Abby is only willing to remove the book from online if Erin will introduce her to the owner of the of the allegedly haunted Aldridge Mansion but once inside, together they witness a real-life ghost (along side other sightings) and decide to go in to business together; recruiting two others and a receptionist (Chris Hemsworth) to join their ghost-busting crew. Completing the dynamic foursome are Leslie Jones’s Patty, a subway employee whom knows the city like the back of her hand. Patty's role lends the majority of laughs to the film whilst Kate McKinnon’s Jillian Holtzmann, is a super intelligent and feisty inventor, channeling vibes of Tank Girl meets Christopher Lloyd's Doc Emmett Brown. Having made their inevitable decision to work together, the film pays a great deal of homage to it's original classic although not always successfully. 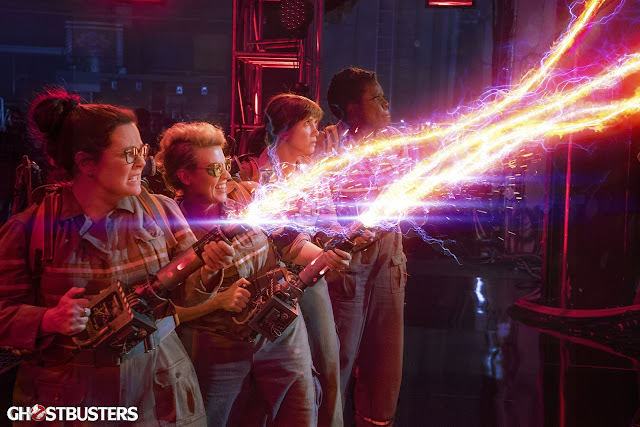 Unlike the original ghost busting crew (portrayed so brilliantly by Dan Aykroyd, Bill Murray and Harold Ramis) which was heavily centered around the ideals of friendship and their relationships, there is an apparent emptiness with the rebooted characters. Whilst we are made aware of understand a history between Erin and Abby, there are attempts to mirror the original but there also is far too much focus on trying to make all audiences laugh and not enough character development. 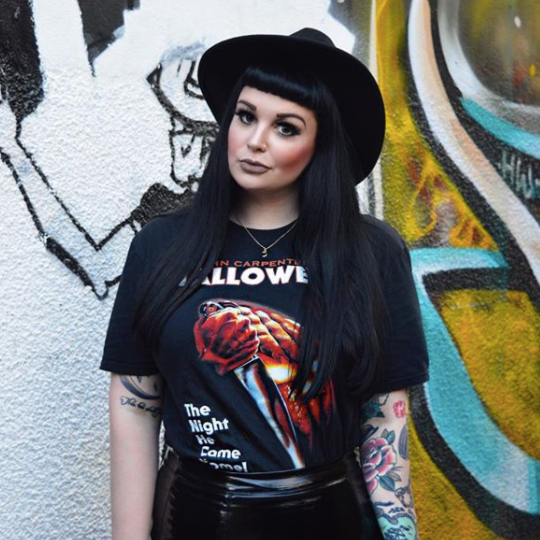 Similar to the originals, however, there are plenty of hints towards timeless Hollywood and horror classics including several direct film references to Jaws (Steven Spielberg, 1975) (arguably one of the best jokes in the whole movie) and The Exorcist (William Friedkin, 1973). Referencing the "glory days of Time Square", we are taken back to NY in the 1970's but with absolutely no explanation and in no way does it aid the narrative. But focussed heavily on the 1980's also, Ghostbusters tries very much to play on nostalgic value. 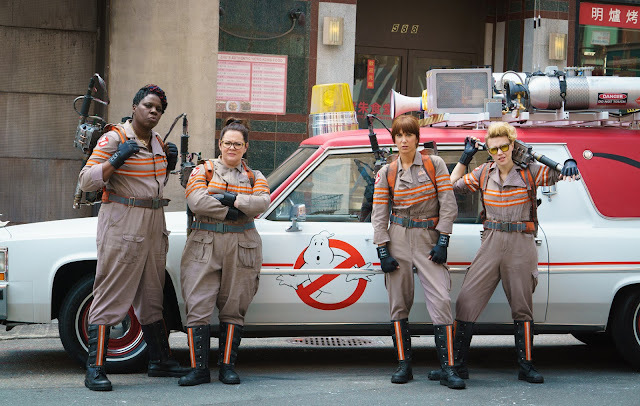 We see shots of old, familiar proton packs, revamped boiler suits, the unmistakable logo and of course - the car. It would not be a reboot of course without some appearances from some very familiar faces, a Stay Puft marshmallow man and indeed - Slimer. It felt, however that for the most part, creators had spent more time focusing on cramming in cameos and casting and less time on constructing genuinely funny jokes or an engaging narrative. Cringey jokes and overall scrappiness aside, there are some stand out moments and a handful of jokes that manage to land. Whilst the Chris Hemsworth as Kevin is a little overdone - his casting as an idiotic yet obviously handsome receptionist makes for a neat little role reversal along side the direct references to the misogyny which followed the movie's production rumours. At best, the new Ghostbusters is generally likable but also an uneven affair that unfortunately cannot live up to director's Paul Feig’s finest work, Bridesmaids (2011). Despite reuniting Feig with his brightest stars, Wiig and McCarthy (whom work well with what little they are given) and drawing upon the skills of Parks and Recreation screenwriter Katie Dippold, Ghostbusters provides several chuckles though it is a swing and miss with very little substance or real conflict in it's narrative. Whilst there were some moments that truly did make me laugh and smile (most of them nostalgic in quality) it is plagued by the overuse of CGI, sloppy one liners and countless plot holes and lack of character development. Greeted with sexist hostility when the rumours of it's creation first broke, it would have brought me much pleasure to have been able to provide the reboot of Ghostbusters with a glowing review. However, whilst it is acceptable enough to shut down the bigots who shot it down before production even started, the harsh truth is that it not quite as good as I had hoped and overall, it was just all a bit cringey. Ghostbusters gets a Sophie star rating of 2.5 stars and a disappointing head shake. That's it for another film review - Have you seen Ghostbusters yet? What do you think? I would like to point out that even though I personally didn't enjoy this film, I have heard from a lot of people who absolutely loved it. I would always urge you guys to see films for our own eyes. This review is merely my own personal opinions. I'm so glad that some people have really enjoyed it and that it's done well at the box office though. As always, I love reading your thoughts so please do leave me lots of lovely comments below. I didn't think it would be great! I love the first because it's the first, I'm not up for re-makes really! I will be missing this out! So gutted this wasn't great, I was hoping it would be fab enough to shut down all the comments too!! I'm glad I'm not the only one who left disappointed! I went in with such high hopes, but completely agree that the comedy falls flat. For me, there were too many moments where the jokes missed the mark and seemed to go on for far too long! I loved the use of a strong female cast and the clever nods to the originals/criticism, but it bums me out to say I didn't enjoy it as much as I would have liked to! 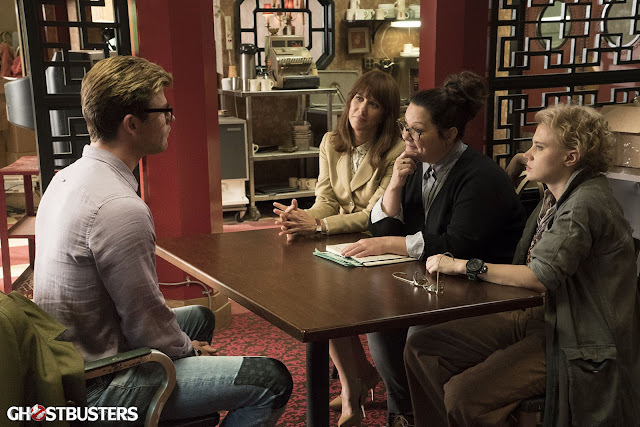 There were some nice nods in the movie and I think Chris Hemsworth should do more comedy in the future. But yeah, I cringed at a couple of the jokes and I wish that the material had been more engaging. I remember how good Bridesmaids was and I also enjoyed Melissa McCarthy in Spy. Paul Feig was also the creator of Freaks and Geeks, which was a good show.